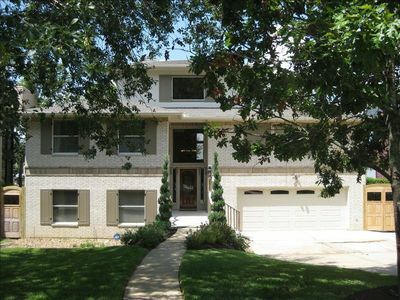 Gorgeous 4 bedroom, 2 story home with a bare foot friendly 1600 sq ft trex deck that spans two levels. 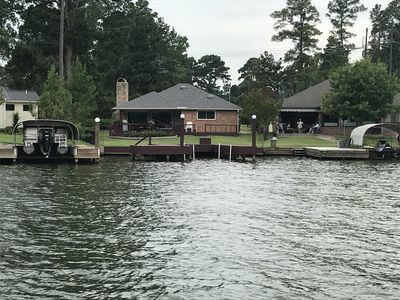 The outdoor living space has a 6 person jacuzzi tub, built in oversized yeti cooler, hanging chairs, surround sound speakers and many other amenities to enjoy and play on lake conroe. 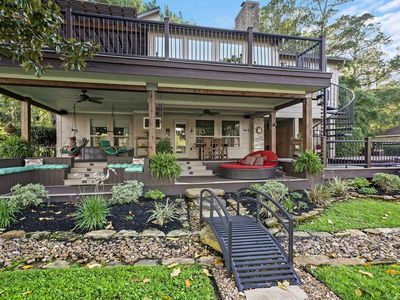 This Walden home has been completely renovated and is one of the prettiest lake homes in the area. 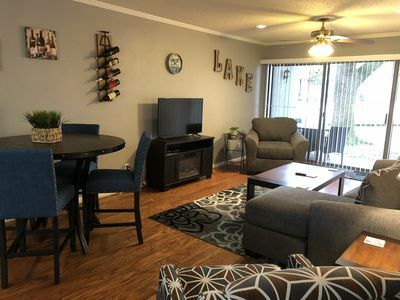 The gourmet kitchen comes with everything you will need which includes stainless steel appliances, cookware, plates, bowls, utensils, Keurig coffee maker, blender, 2 refrigerators, wine area and much much more. 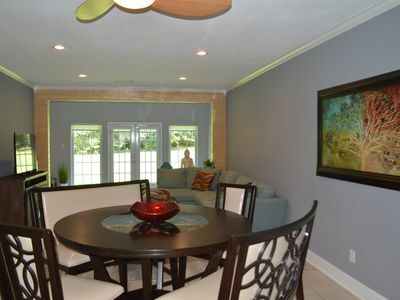 You will enjoy making a meal or just snacking around the table with friends and family. 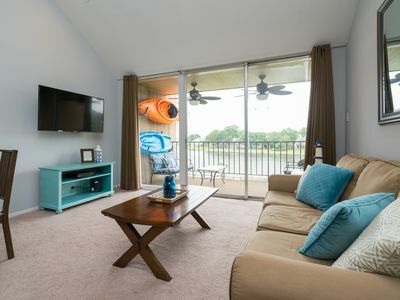 After a long day of fun, relax on the large sectional and watch tv on a 65" screen while cuddled up next to your favorites. 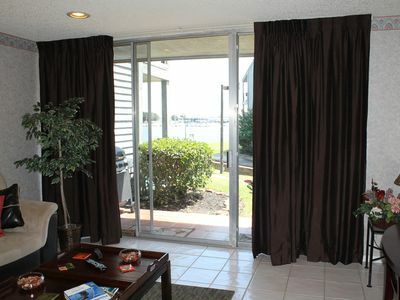 Bedrooms are all cozy with king and queen size beds along with closet space. 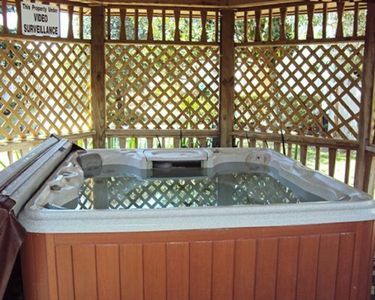 The bathrooms are designed beautifully and are very well stocked with all the essentials. 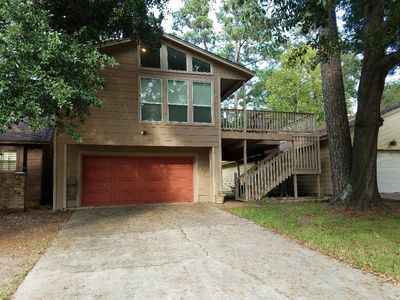 The outside is so welcoming and you have a direct path to run and jump right into Lake Conroe. 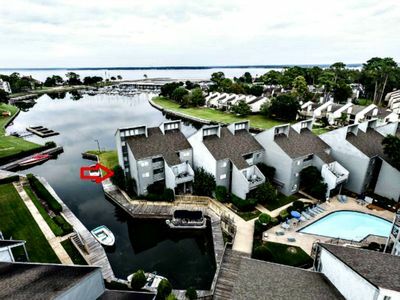 Wanna bring your boat?...If so, there is a 30’ boat slip as well as two jet ski ramps. 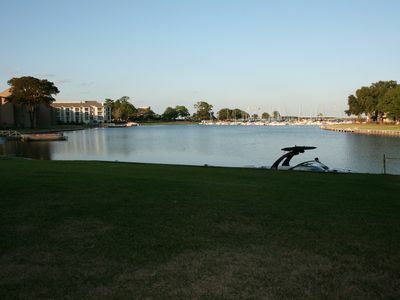 You will have access to the Walden boat ramp which is a stone throw away from the backyard!! 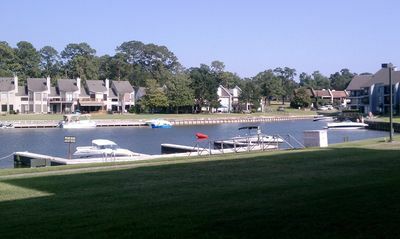 We also provide a kayak for more fun adventure and don't forget to bring your floats!! 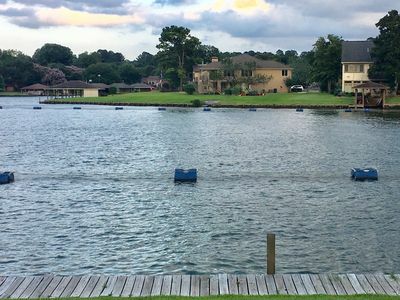 We welcome you and we hope you enjoy making memories with your friends and/or family on our cozy lake front retreat! 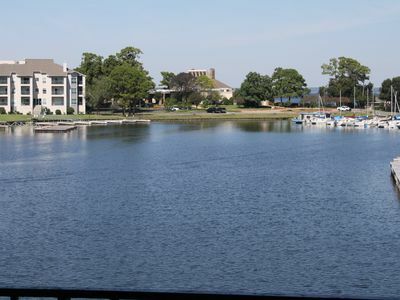 Lakefront Condo On Lake Conroe - Great Views and Large Unit - Tons to do here!!! 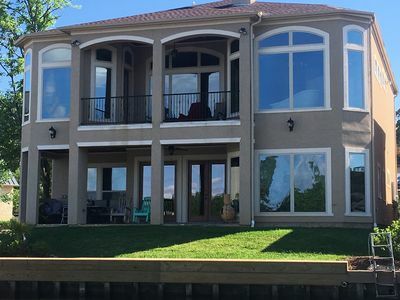 Nice Waterfront 3,000 sq ft house great for family! 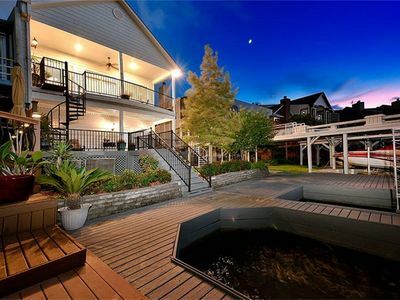 HOOK, WINE & SINKER - Luxury Waterfront Condo. 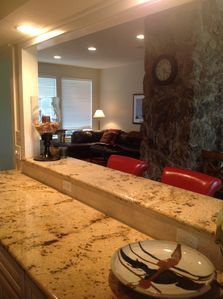 Sleeps 4, fully equipped kitchen! 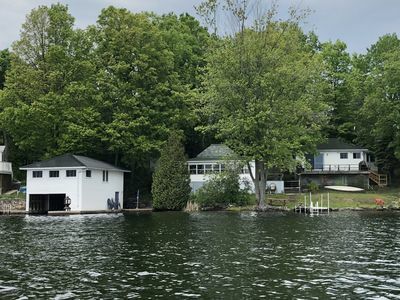 Waterfront with great views and quiet cove! 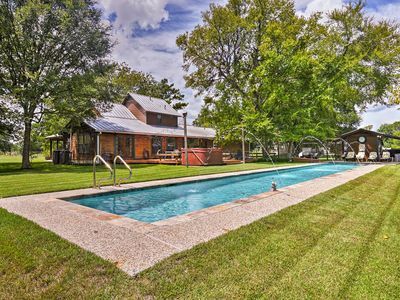 'Soma Ranch' Home+Bunkhouse(w/Fee) w/Pool+Hot Tub!